Shamwari Private Game Reserve is home to Africa’s Big 5 (elephant, rhino, buffalo, lion and leopard), is malaria free and is situated in the Eastern Cape of South Africa. Shamwari has received numerous international awards, including the World’s Leading Conservation Company and Game Reserve for many consecutive years. Luxury safari accommodation is offered in 7 different lodges on Shamwari. Choose a lodge that compliments your ideal African experience. Shamwari is about conserving a vanishing way of life and is the realisation of one man’s dream, and the success of many people’s passion. Steeped in pioneer history, and dating back to the time when a multitude of game roamed wild and free, the 25 000 hectare reserve boasts five eco-systems, thus enabling the support of many forms of plant, animal and bird life. Shamwari is one of the most successful private conservation initiatives in Southern Africa coupled with responsible tourism, and the most luxurious means of experiencing your African adventure. * Award Winning Game Private Reserve. 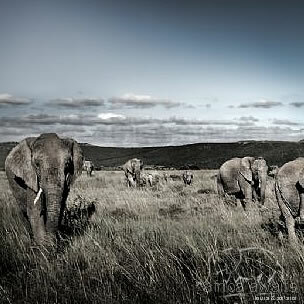 * One of the Biggest private game reserves in the Eastern Cape. * 5 of South Africa's 7 biomes are found on Shamwari. 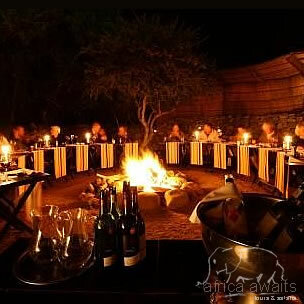 * A private game reserve that boasts many high profile animals including the Big 5. * Very accessible with frequent daily flights from Cape Town, Johannesburg and Durban. * Transfers arranged with Avis in chauffeur driven vehicles. * Unique selection of 5 star game lodges. * Natural extension to the famous Garden Route. * Family safari destination - children welcome. * Spas: 3 Luxury Spas and a unique bush spa. * Two unique Born Free Sanctuaries. Luxury accommodation is offered in 7 different lodges at Shamwari Game Reserve, all of which are 5 Star graded. Exclusivity, privacy and serenity for the most discerning of travellers. A tranquil, luxurious and exclusive getaway deep in the valley bushveld. Refined elegance from a bygone era. Colonial Africa in an elegantly restored CHILD FRIENDLY frontier home. Intimate home from home atmosphere. The ultimate in luxury tented accommodation. A colonial and bush experience. Perfect for families or small parties. With your holiday, safari or business trip from in to Shamwari Private Game Reserve in Eastern Cape.